"bunch of crazy white people... ": 155. 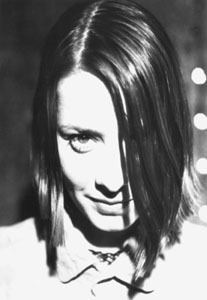 Suzanne Vega, "Blood Makes Noise"
155. Suzanne Vega, "Blood Makes Noise"
A woozy industrial Mitchell Froom production from Suzanne Vega about finding out you've got HIV. #1. 1992, man. saw the video for this on VH1 Classic last night. you think the song itself is 1992? wait'll the vis. acc. sneaks up on you unawares sometime. I only know this song from an old episode of Homicide, but it is awesome nonetheless.